Companies: Workshops, conferences and meetings. Legal: Court and solicitor’s appointments. Health: Hospital, GP and other medical visits. If you would like to have something translated that is not on the list, please contact me. I can certify all translations on request. PROOFREADING and EDITING. To obtain perfect results, I can proof read and edit your documents and translations. SUMMARIZATION. 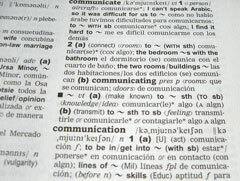 If you do not need a complete translation I can offer you a summary of the original text in your language. TRANSCRIPTIONS. I can transcribe AUDIO in most formats in one language into a document on the target language.